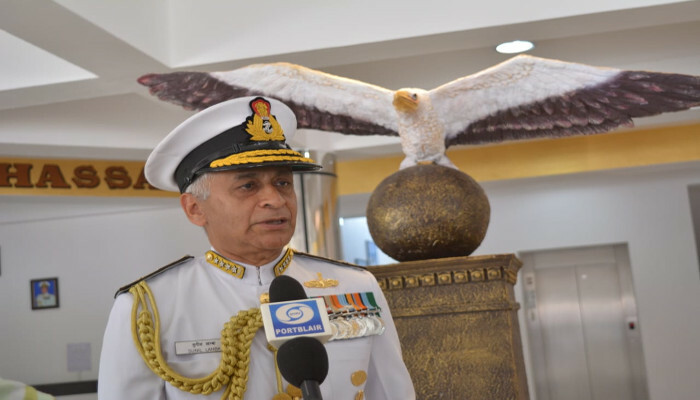 Naval Air Station (NAS) Shibpur was commissioned as INS Kohassa by Admiral Sunil Lanba, PVSM, AVSM, ADC, Chairman COSC and Chief of the Naval Staff, on 24 January 2019. 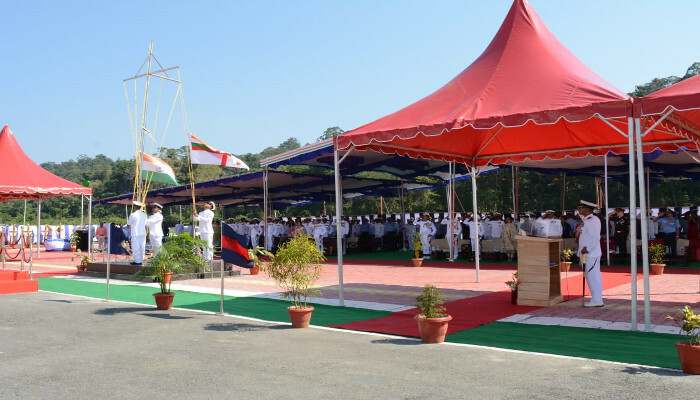 The grand ceremony was attended by many dignitaries and senior officials including Vice Admiral Bimal Verma, AVSM, ADC Commander-in-Chief, Andaman and Nicobar Command (ANC), The ceremony included presentation of Ceremonial Guard, hoisting of the Commissioning Pennant and reading of the Ship’s Warrant by the Commanding Officer, Commander Kuldeep Tripathi. 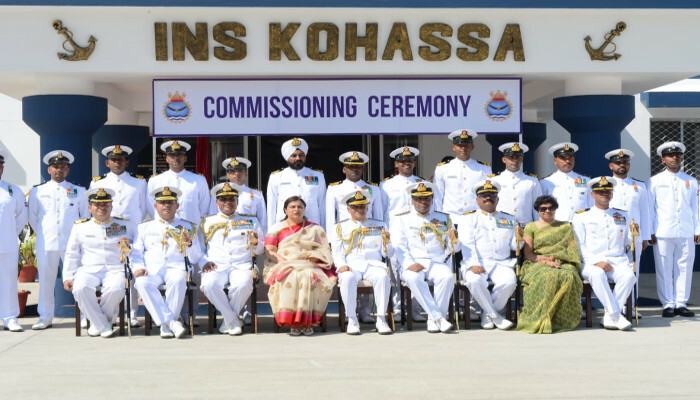 INS Kohassa has been named after a White-Bellied Sea Eagle, which is a large bird of prey, endemic to Andaman and Nicobar Islands. 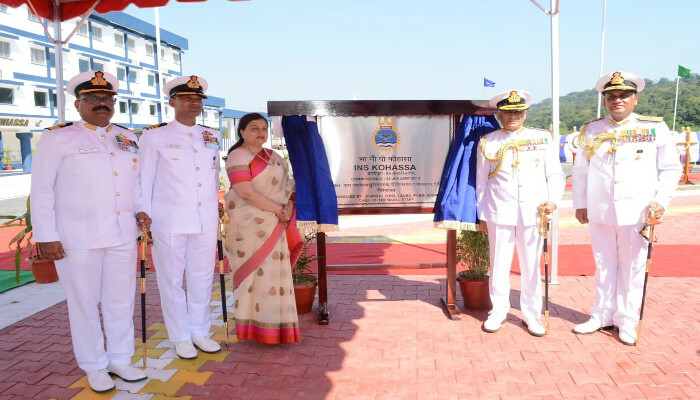 NAS Shibpur was established in 2001 as a Forward Operating Air Base for enhanced surveillance in North Andaman. The close proximity of Coco Islands (Myanmar) and wide expanse of Indian Exclusive Economic Zone (EEZ) makes the base a very vital asset. The airfield provides sustained detached operations of Indian Navy, Indian Air Force and Coast Guard aircraft. The Air Station presently operates Short Range Maritime Reconnaissance aircraft and helicopters. These aircraft undertake EEZ Surveillance, Anti-Poaching Missions, Search and Rescue and Humanitarian Aid and Disaster Relief missions within the ANC Area of Responsibility. As a point of interest, during the search operations of the Malaysian Airlines Flight 370, Dornier DO 228s of the Navy and Coast Guard operated from this very base. NAS Shibpur was identified by NITI Aayog as one of the ‘Early Bird’ project as part of holistic island development. Towards this, the Indian Navy has been ready in all respects to facilitate civil flight operations from NAS Shibpur. The runway extension to 10,000 ft is also planned in the near future to facilitate operations of wide-bodied aircraft.